Walking New Zealand covers the ever growing recreation walking market. Our readers are mainly female over 30 years of age right to seniors of both sexes and who walk or hike on a regular basis for recreation and social benefits. Popular features are include: coming events, high achievers, next month's weather forecast, local and overseas leisure walks, nutrition, motivation and training etc etc. The magazine has now produced its 194th issue. 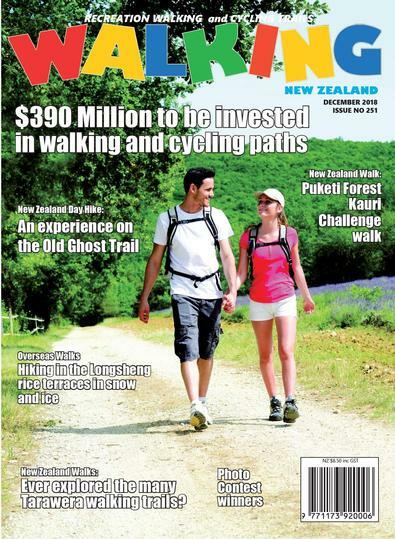 Be the first person to tell us what you think about Walking New Zealand and you'll save $5 on your next purchase!